From September 1939 until 1945, Great Britain was plunged in World War II. Many of London's children were sent away to the countryside for their safety. London and the suburbs were heavily bombed by German Luftwaffe, thus, many of the children were sent away to the countryside. The place was no longer safe for everyone, more so for the Royal Family. It was suggested that Princesses Elizabeth and Margaret be evacuated to Canada, but Queen Elizabeth rejected the idea. "The children won't go without me. I won't leave without the King. And the King will never leave," she said. While they never left the British soil, they lived for most of the war years (1940-45) at Windsor Castle. Here, they staged pantomimes at Christmas to help the Queen's Wool Fund, which bought yarn to knit into military garments. A 14-year-old Elizabeth made her first radio broadcast during the BBC's Children's Hour, calling out other children who were evacuated from the cities to stay strong. She said: "We are trying to do all we can to help our gallant sailors, soldiers and airmen, and we are trying, too, to bear our share of the danger and sadness of war. We know, every one of us, that in the end all will be well." The Princesses also undertook her first solo engagement at the height of the war. In 1943, she visited the Grenadier Guards, of which she was appointed colonel a year earlier. Before she turned 18, Parliament passed a legislation that made her one of the five Counselors of State should King George VI be incapacitated or travel abroad. Thus, Elizabeth acted as counselor of state when the king left to visit Italy in July 1944. In February 1945, she was appointed as an honorary second subaltern in the Auxiliary Territorial Service with the service number of 230873, obtaining training as a driver and mechanic. Five months following the training, she was given the rank of honorary junior commander. 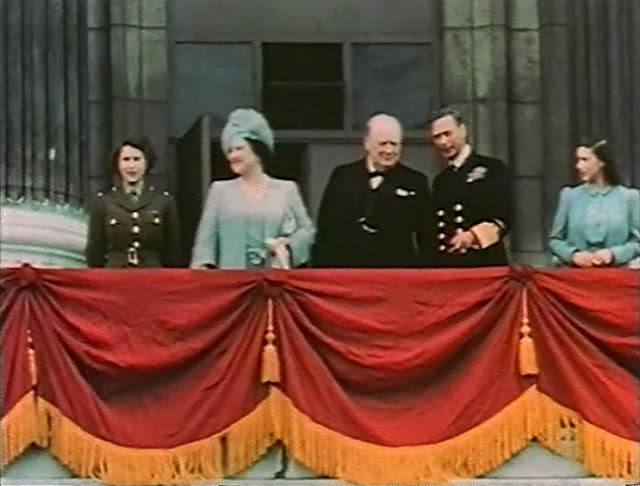 During the Victory in Europe Day at the end of World War II, Princesses Elizabeth and Margaret secretly joined the celebratory crowds in the streets of London. Elizabeth later said in a rare interview, "We asked my parents if we could go out and see for ourselves. I remember we were terrified of being recognised ... I remember lines of unknown people linking arms and walking down Whitehall, all of us just swept along on a tide of happiness and relief." Princess Elizabeth’s experiences during the war helped strengthen her commitment to her duty of service to the nation. In fact, 21st birthday while embarking on her first overseas tour with her parents through southern Africa, she made a pledge saying "I declare before you all that my whole life, whether it be long or short, shall be devoted to your service and the service of our great imperial family to which we all belong." Check out our next article for snapshots of a young Princess Elizabeth on active service during World War II (1939-1935).